Here we go! Let's see if it's true that the bad run comes to an end now. A fan of your stories here! Your stories are always great reads. Good luck. As always looking forward to see what you do with the team. Having played a few seasons last year on my own in the Eredivise Ajax have some really talented youngsters coming up. Nice. I like the squad list on the back of the shirt. Any players you're already thinking of? Thanks @Pwalie86 - as with my previous careers: if you have a question make a nice meme and post it as if you are a curious journalist. In this case, I'm focusing on the Academy and some under 19 wonder kids from lesser known clubs. The three crosses are a symbol to the city of Amsterdam (in case anyone wondered). IMPORTANT: Dani Cruijff is a fictional character. He was thought of when last year I contemplated a career mode start at Barcelona B. 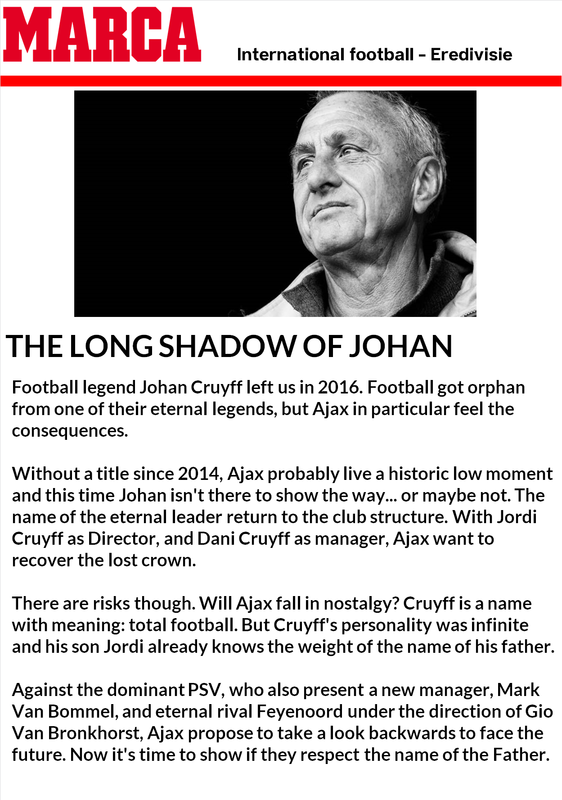 The rest is fact based: Jordi and Wim Jonk are working together in a company that oversees the legacy of Johan Cruijff. Some of it is taken from my previous FIFA 18 Career: Daniel Marzec is (of course) a fictional character too; in real life directors Van der Sar and Overmars survived a vote of no confidence and appointed (the now successful) Erik ten Hag of FC Utrecht as manager. I always like when you add history and facts into your stories. Makes it that much more interesting to follow along. In FIFA, are you in the Champions League already or do you have to qualify? Thanks @Stlducks @Ashy @subpop @Wyojasond - as with previous careers, I welcome (unexpected) reports from 'media' - puts me on the back foot sometimes. Respond as if you're journalists, thanks! Willing to see how it develops. Great graphics as always Man. Ajax has such a great young team and they signed some great players this summer. Eager to see how they all mesh together. 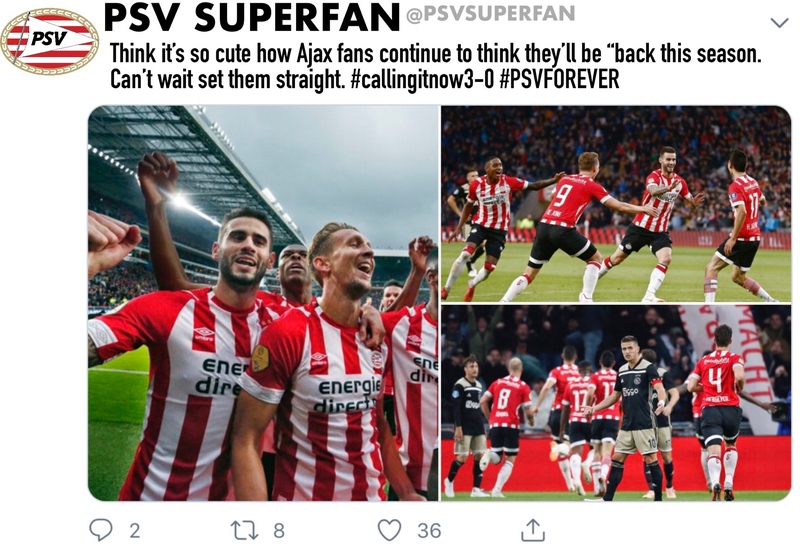 Excited to see how this turns out with PSV taking shots so early in the season. 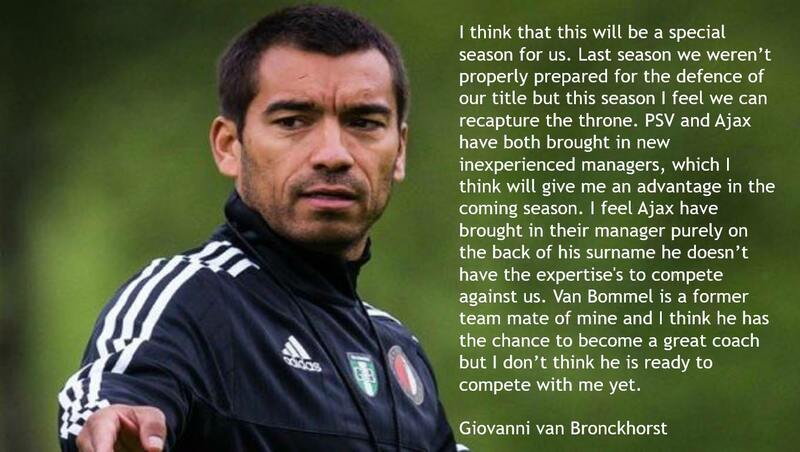 Ajax have a lot of talent but need a leader to mesh them all together. Looks like Atalanta peppered you with shots in the first game, good draw really, Bournemouth was a bit disappointing but looks like you responded well against Brighton, lots of possession and many attempts, three goals! 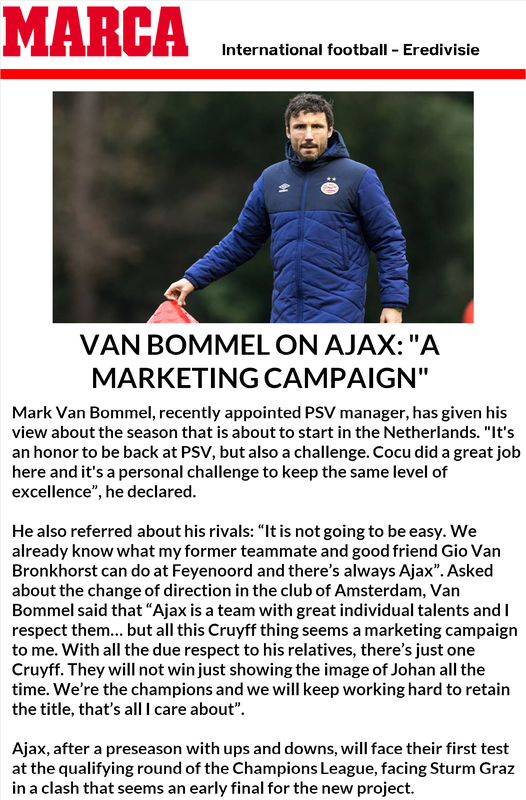 Some fighting talk from Van Bommel there, it's going to be a really interesting season I think, I just hope it's a competitive fight for the title right until the end, big match coming up for qualification for Europe good luck! Excellent @subpop - a war of words through the media commences; this is what I miss a bit in FIFA really - some interaction with board, media and players (like FM has and now F1 2018 as well). Anyway: response! Whoa, didn’t even realize that subpop posted that PSV article. Very cool. I will try to take part too. Do you prefer posts mainly like he did with the media writing something up or are you looking for things like “tweets” or questions from them?